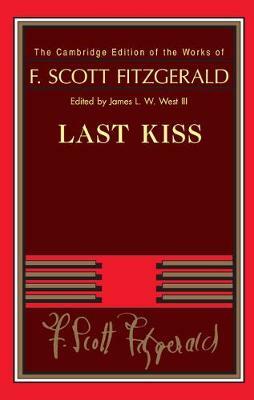 Author(s) Fitzgerald, F. Scott; West, III, James L. W.
Last Kiss brings together some of the most interesting and idiosyncratic of F. Scott Fitzgerald's writings from throughout his career. Included in this volume are Fitzgerald's Thoughtbook, a revealing adolescent diary; an amusing self-interview, written in the early days of his initial fame; The Vegetable, his only published play; the five poems that he published after becoming a full-time author; twelve early book reviews, published between 1921 and 1923; seven short stories from the last decade of his career; seventeen public letters; six items of journalism, four of which attempt to explain the 'flapper' phenomenon; and unusual miscellaneous pieces. The texts, many of which are based on surviving manuscripts and typescripts, are fully annotated and are supported by an apparatus that records all emendations and editorial adjustments.